Here, you will find out how to register a domain for your HTML5 and CSS3 site using Freehostia.com. Check the documentation on your hosting service. Chances are that the main technique is similar, even if the details are different. 1Log in to the service. 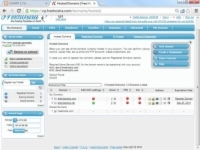 Log in to your hosting service administration panel. You usually see a Control Panel. 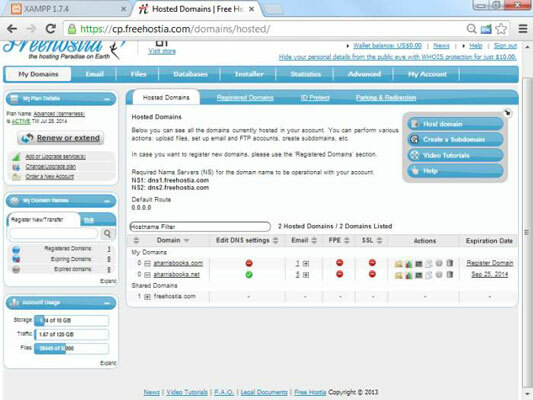 In Freehostia, the domain manager is part of the regular administration panel. In a free hosting service, the main domain (, for example) is often chosen for you. Sometimes, you can set a subdomain (like ) for free. 4Look for a domain search tool. Often, you have a tool that allows you to search for a domain. 5Search for the domain name you want. You can type a domain name to see whether it’s available. 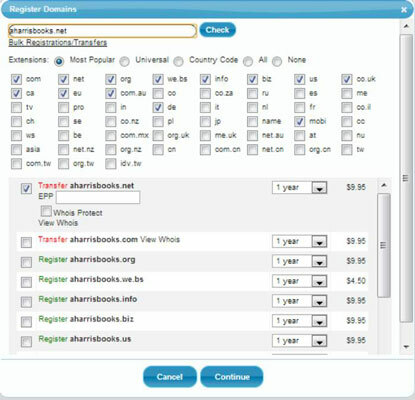 6If the domain name is available to register and you want to own it, purchase it immediately. If a domain is available to transfer, it means that somebody else probably owns it. Don’t search for domains until you’re ready to buy them. Unscrupulous people on the web look for domains that have been searched and then buy them immediately, hoping to sell them back to you at a higher price. If you search for a domain name and then go back the next day to buy it, you often find that it’s no longer available and must be transferred. It’s also happened that people offer to sell you a domain that’s currently available, then buy it up only after you’ve agreed to purchase from them and sell it at a huge markup. The domain-purchase process involves registering yourself as the domain owner. WHOIS information provides your information to people inquiring about the domain name. 8Wait a day or two. Your new domain name won’t be available immediately. It takes a couple of days for the name to be registered everywhere. 9Remember to renew your domain registration. Domain-name registration isn’t expensive (typically about $10 per year), but you must renew it or risk losing the name.